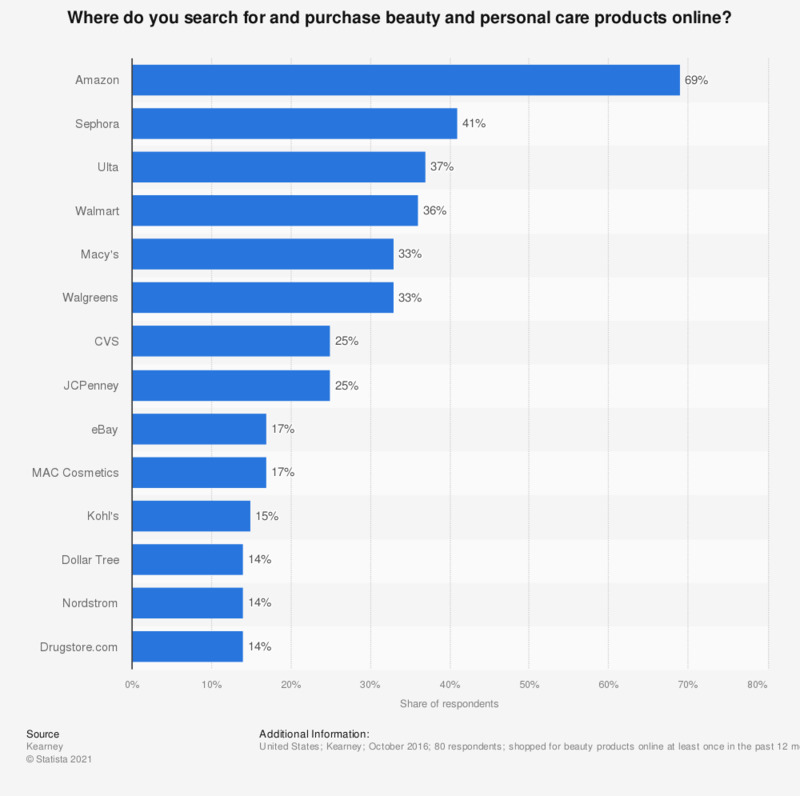 This statistic provides information regarding the leading online destinations for U.S. beauty and personal care shoppers. The October 2016 revealed that 69 percent of the survey respondents search for and purchased beauty products at Amazon.com. Original question; Where do you search for and purchase beauty and personal care products online? Women: How important is that personal care product brands offer products that make you happy? Which price difference do you expect when you shop online rather than in a store?